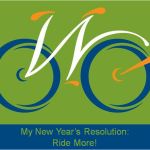 I started the Bike to Work promotional efforts in Spokane with help from Washington Bikes (so it was very cool to come full circle when I became the executive director at the Bicycle Alliance last August) and chaired it for several years. Every community’s challenge takes on a different flavor. I thought I’d share a few of the lessons learned from my time at the helm in Spokane as food for thought to those who are currently mounting challenges and celebrating Bike to Work Week. You ask people to help. Okay, that sounds overly simplified, but seriously…. A dozen people showed up! Out of that initial meeting I got pledges for the kickoff breakfast pancakes, the wrap-up party beer and chips, an idea for how to handle registration that later panned out, and we were off and running. We started with the traditional language, calling ourselves Bike to Work Spokane. We quickly learned that people who didn’t travel to work, whether because they were unemployed, going to school, working from home, or retired, still very much wanted to be counted as bicyclists because they knew there was a lot of power in that for us to be recognized by city leaders. It’s especially painful to have to say you have no job to ride to when you really, really want one. We ended up changing our mileage definition so that it was “vehicle miles avoided,” meaning that we counted any bicycling for something that would otherwise have involved using a vehicle. This could be miles to work, school, the grocery store, the dentist, or anywhere else. We didn’t include recreational/health/competition miles because we wanted to make the policy point that we were keeping cars off the road. We also ended up changing our name as a campaign from Bike to Work Spokane to Spokane Bikes to reflect that more inclusive definition. Well, for one thing, T-shirts and pancakes! We set our goal for the first year (2008) at 300 registrants. We were starting from zero and had no idea how many people already commuted by bike, let alone how many of those would come to our website and sign up. We raised funds with help from the Bicycle Alliance and I built a budget that included giving a free T-shirt to the first 300 people to sign up. Mountain Gear, a Silver level Bicycle-Friendly Business, volunteered to cook a pancake breakfast at Riverfront Park for the Kickoff Breakfast and they’ve done it every year since then. We got prizes donated from a variety of businesses and a wrap-up party at a local brewery that supplied the beer, chips, and salsa. May 16: Our last registrant, #934–over three times as many as we’d guessed at. 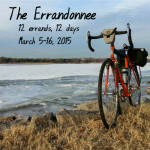 We tracked total mileage and total days ridden–pretty standard in most of these events. But that really just rewards the uber riders who are going to ride with or without any kind of challenge or event. So one year we tried to change the competition from total miles ridden to “how many people did you help get started riding?” so we could reward what we were really after: getting new people riding. That failed utterly. 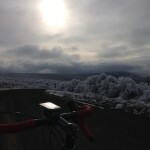 Altruism just didn’t seem to motivate the way racking up the miles did, which saddened me. I do think there’s a way to do this but it would take more than we were able to accomplish with our volunteer effort. We were also expecting people who signed up to tell us who helped them, so it was essentially them nominating someone else who would be the winner. Maybe if we’d asked people to tell us who they helped start riding, then checked to see if those people registered, then…..
You see why this is a complicated set of motivators and data to get to the reward! But there must be a way. Maybe team captains are rewarded based on the number of brand-new commuters they’re able to sign up. We scheduled our event in conjunction with National Bike to Work Week. May in Spokane is often still cold and rainy. People protested the dates but we figured we were better off going with the national flow and tagging onto all that publicity. Year after year, though, it rained on our Kickoff Breakfast! If not at the beginning then by the end. The hardiest bicyclists in the world showed up to stand in the rain, shivering and smiling and pouring syrup onto stacks of fluffy pancakes and warming up with Roast House Coffee. So one year we figure we’d outsmart Mother Nature: We delayed our events by one week to be later in May with a better chance of good weather. How did this work for us? National Bike to Work Week: Gorgeous. Sunny. Blue skies. Fluffy puffy cloudlets. One week later: It rains buckets on our Kickoff Breakfast. Okay, Mother Nature, we get the message–you’re stalking us. Back to hardy bicyclists and the national week. You can schedule your events at a completely different time to suit your local weather conditions but you can never, ever guarantee a nice week. Have a rain plan. The Commute Challenges everywhere absolutely DO get people riding. They know they’ll see more riders on the street, they have the safety-in-numbers feeling, they want to be part of a larger effort. Plenty of people came up to me every year to tell me that this was their first time riding their bike to work, that the event motivated them to start, or that they were a regular commuter and had felt lonely for a long time but at long last they were seeing other people on their route. How do you help the beginners? 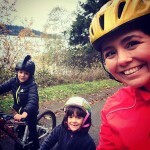 This article was posted in Bike to Work, Commuting, Encouragement, Events, News, Spokane County. Bookmark the permalink. Follow comments with the RSS feed for this post. Both comments and trackbacks are closed.